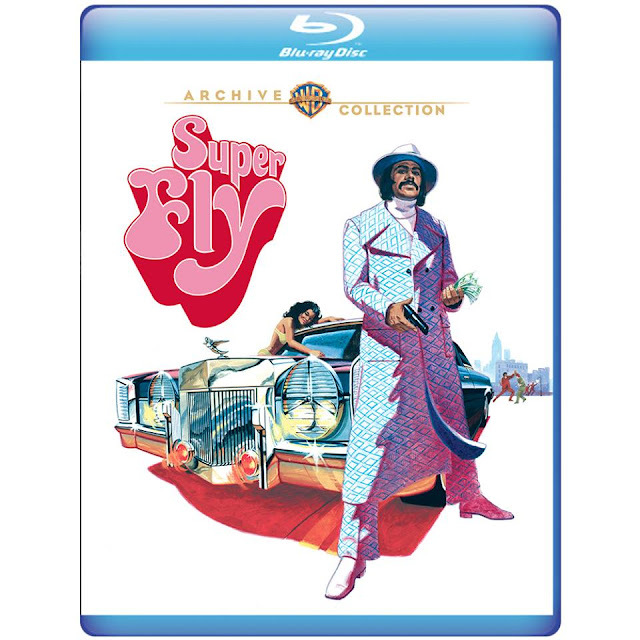 Warner Archive has announced that they will be bringing the Gordon Parks Jr-directed Superfly to blu-ray later this year. Coming on the arriving in theaters during the height of the Blaxploitation craze of the early to mid 70's, Superfly boasts a wonderful performance by Ron O'Neal, a dazzling soundtrack from Curtis Mayfield, and gritty direction from Gordon Parks Jr. Superfly is a great film that gave us a different side of the Blaxploitation era. Priest (Ron O'Neal), a suave top-rung New York City drug dealer, decides that he wants to get out of his dangerous trade. Working with his reluctant friend, Eddie (Carl Lee), Priest devises a scheme that will allow him to make a big deal and then retire. When a desperate street dealer informs the police of Priest's activities, Priest is forced into an uncomfortable arrangement with corrupt narcotics officers. Setting his plan in motion, he aims to both leave the business and stick it to the man. Commentary by Dr. Todd Boyd, USC Professor of Cinema and Television and author of "Am I Black Enough For You: Popular Culture From the 'Hood and Beyond"
Costume Designer Nate Adams Goes "Behind The Threads"